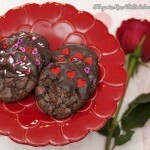 So if you are looking for that perfect Valentine for your love one, this triple chocolate brownie cookie will be perfect. The cocoa powder heightens the chocolate flavor. The bittersweet chocolate chunks add an extra burst of flavor, and the chocolate melting wafers envelop the cookie like a fine coat. These chewy fudgy cookies were adapted from a recipe in the January issue of Bon Appetit. To begin, preheat the oven to 350 degrees F. and place the racks in the upper and lower thirds of the oven. Line two baking sheets with parchment paper. 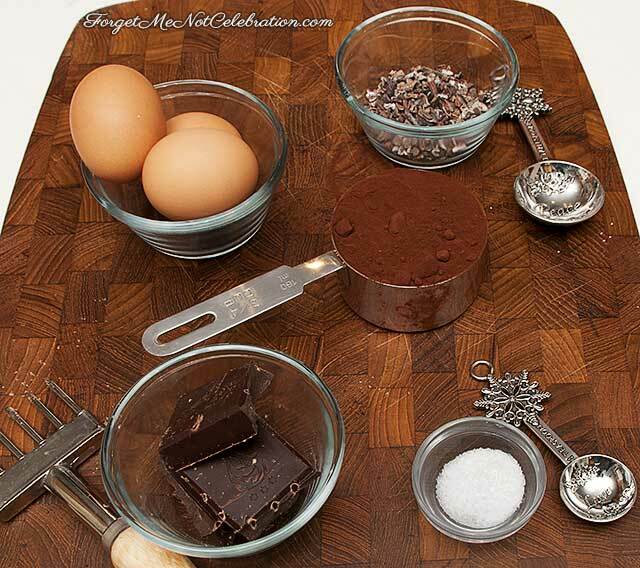 Whisk the powdered sugar, cocoa powder, and salt in a large bowl. Then whisk in the egg whites, the egg and the amaretto. Fold in the chocolate chunks and the cacao nibs. Spoon the batter, by the tablespoonful, onto the parchment lined baking sheets, spacing the batter 2” apart. 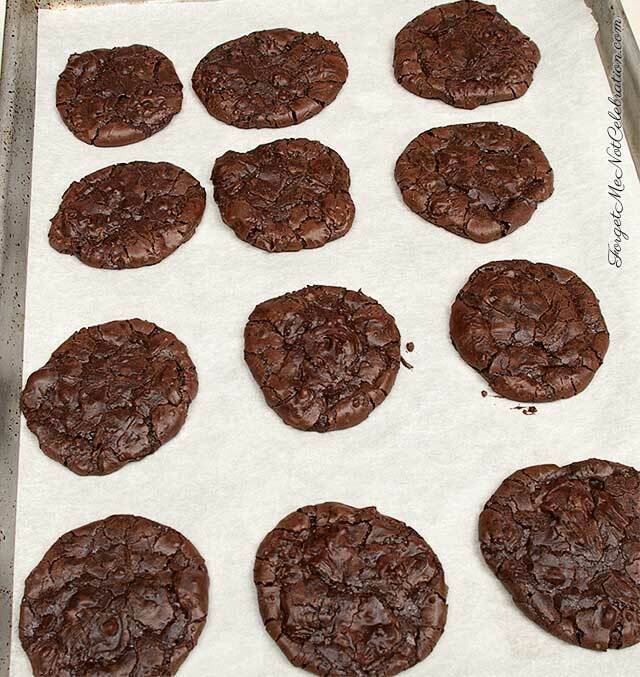 Bake until the cookies are cracked and just set around the edges, 14-16 minutes. Rotate the baking sheets halfway through baking. Place the baking sheets on wire racks to let the cookies cool on the pan. While the cookies are cooling, melt ½ cup of the dark melting wafers in the microwave in a small bowl. 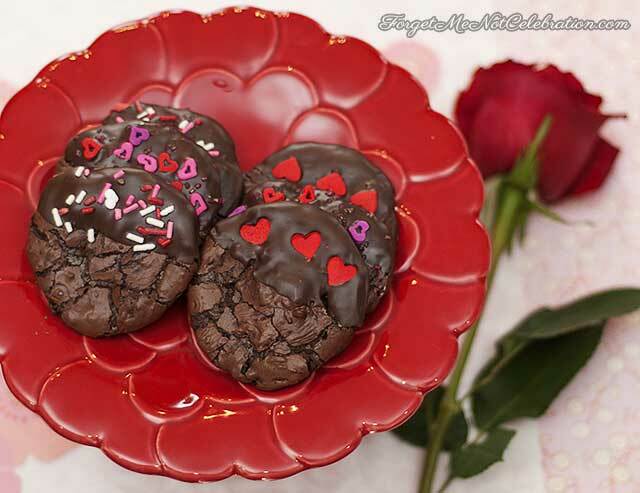 When cooled, coat half of each cookie by dipping it into the melted chocolate. Decorate the cookie with sprinkles. Store in an airtight container for up to three days for maximum freshness. Triple chocolate – dough, chips and coating dip. Plus, amaretto. I don’t how a cookie could get better than this. You can’t have too much chocolate! This looks great! Did you use natural or Dutch-processed cocoa powder? Thank you. I used Dutch-processed cocoa powder.